Mostly, I work to support my lifestyle and not the other way around. I’ve had one job though that was a lifestyle in itself. I’d love to do that again, because I was actually excited to go to work! 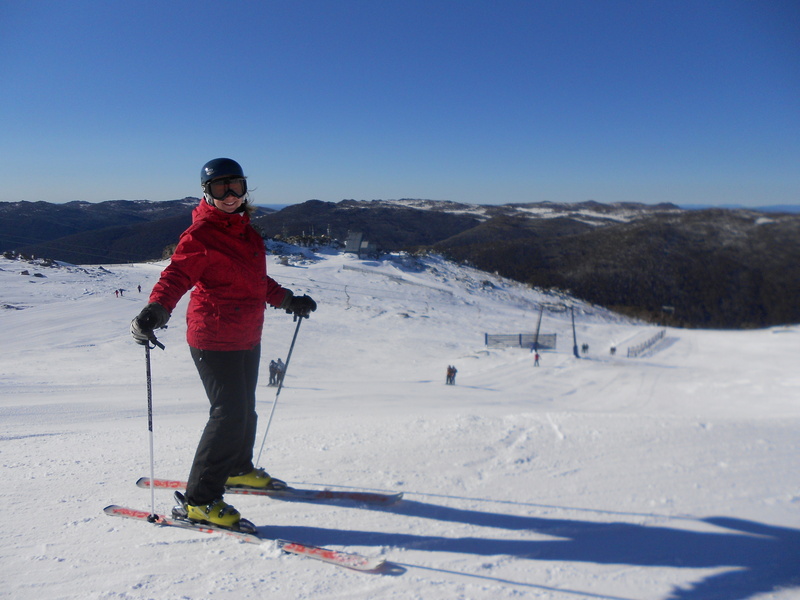 Two winters I worked for Thredbo Snow Sports in Australia. Working in a ski area feels a bit like a holiday. Most people are happy because they are on theirs and all the staff loves snow and skiing so much that they’re just happy to be around and hit the slopes as much as they can. Even though I was miles away from home, I found a second home in Jindabyne, living in a small cottage with some awesome people. 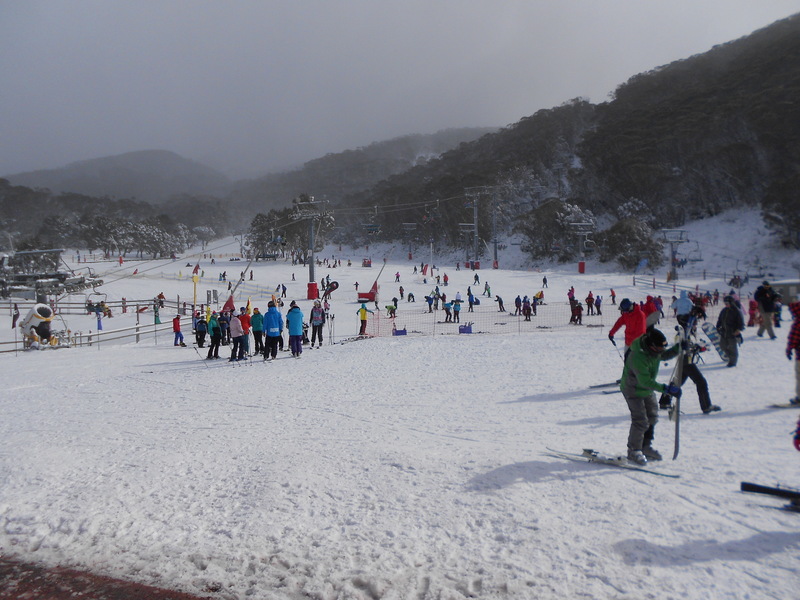 Every day we made the half an hour trip to Thredbo, always excited to see what the weather was like on that side of the mountain. In my collegues I found family and friends. There really was an we’re-all-in-it-together-mentality. During my first year I couldn’t ski yet and my new friends taught me how. 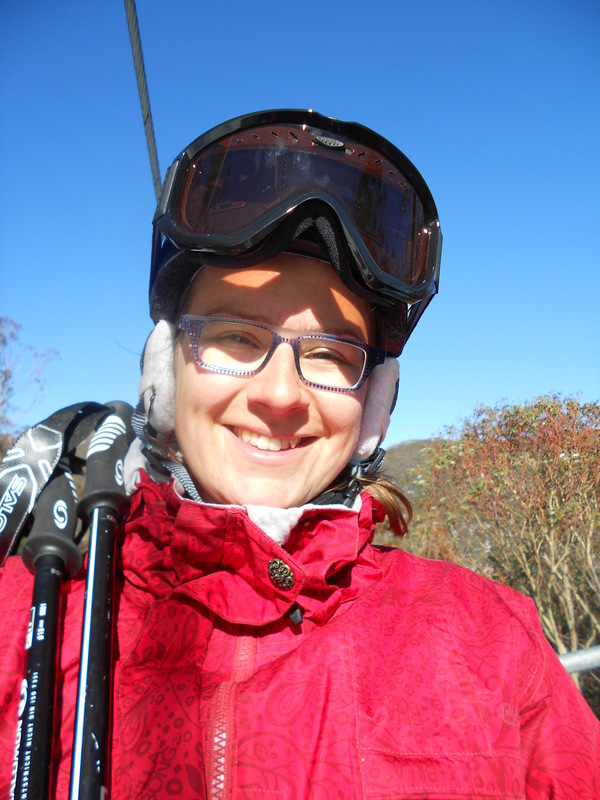 Throughout my time in Thredbo I had the support of my collegues, who gave me tips and commented on my style constantly. I still remember the surprised faces when someone I worked with saw me in one of his ski classes. My job involved organising things for the kids ski school. I set up the meeting area in the mornings, my least favourite job. Then I welcomed the kids and put them into the right classes. Throughout the day I helped the instructors on the snow, I set out treasure hunts and race days and supervised the lunches. It was all about making things go smooth. I worked in a small team that was part of a way bigger team, but that meant we were very flexible and if there was a big dump of snow, there’d be time for a ski. I loved my job! I hope I can get similar jobs in the future. Often I feel restless. Often I feel like I’m wasting time in my life. Not in the ski fields. I loved being there. I enjoyed every minute of it. If you haven’t found your dream job yet, try the ski fields. It doesn’t matter if you’re a novice or a die hard ski bum. You’ll become one soon enough. Find the inspiration for this post here at the daily prompt: money for nothing.